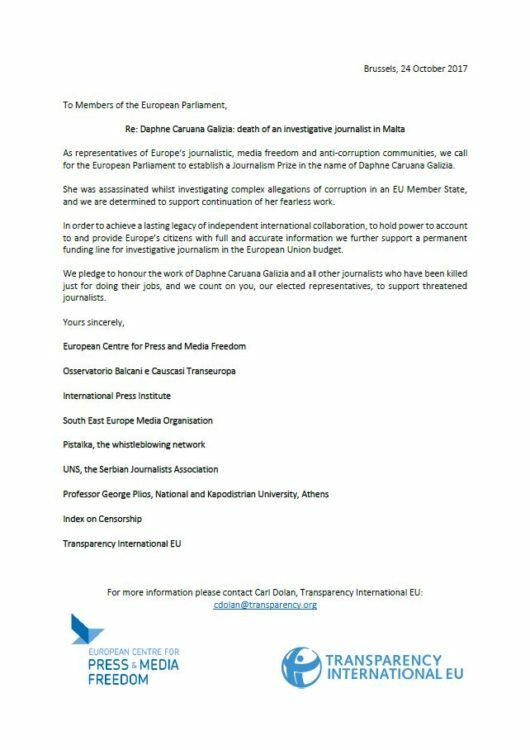 Following the brutal and tragic murder of the Maltese investigative journalist Daphne Caruana Galizia, Transparency International EU and the European Centre for Press and Media Freedom, along with other media freedom groups, call on the European Union to create a special prize in her name to promote and support independent investigative journalism around Europe. This prize should be designed to help provide journalists with the support they need to be able to uncover wrong doing, illegal activity and corruption without having to fear for their own safety simply by doing their jobs. 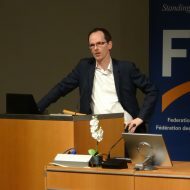 Media freedom and the right to free speech must be protected and we urge the European Commission to show their commitment to these freedoms through creating the “Daphne Caruana Galizia Prize” without delay.